Let’s be honest, most people get something from their love one which gives from Birthday, or any kind of occasion its feel good when you receive a gift on someone else. After my Oath taking I feel happy to say that I am American Citizen was glad I am not renewing My GC anymore I am very thanksful and bless because this year they were many happen in my life I keep praying that everything is gonna be fine sometimes I am losing hope to stay here, However I am happy to say that when I got my Citizenship it change a lot with helping of my honey dovey Bf might be I well fly and come back home, lol I am just kidding, life is so wonderful despite of many problems. Anyways I took a pic both card Khols and Victoria secret. 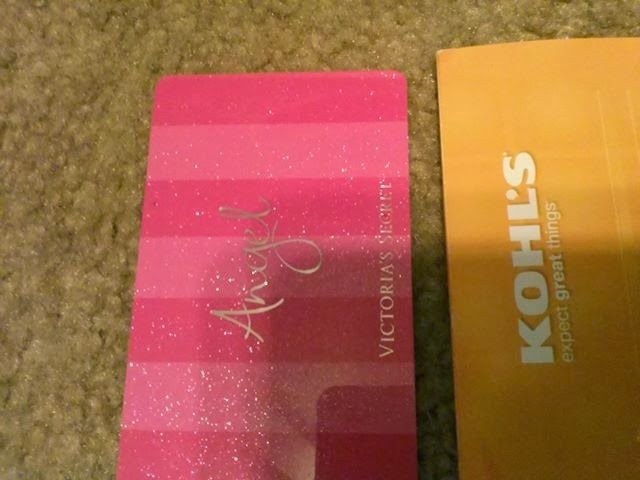 although the Victoria secret is a credit card, I have rewards card it separate on this credit. Not on this blog. 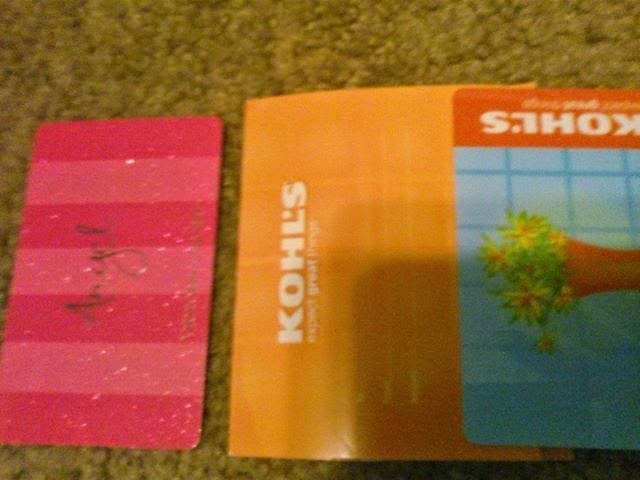 I took both picture, (Victoria credit card and My gift Khols card) my next post I well write an article about my rewards card , I have also shopping stuff from which i could not post now just watch my blog with in next week I well post my shopping from victoria secret . It was happen after three days of my Oath taking I went to pharmacy and print some pictures after few hours we went to D and Busters, we eat there as I expected but then he called me and want us to be home early :-D As I already post this article on my other blog about surprise party from my super sweet Bf love him forever and ever, he give me gift card from Khols worth of $100 bucks what a Big Wow can you imagine he love me so much or I shall say he spoiled me a lot and lot what the lucky girl Since this year I am so happy ever, if you knew I been in counter many personal problem for many years because I have little boy who I raise myself, I though I am gonna crazy, I always pray I get over and live a normal life, Now here my morning is sparkling because theres is somebody who make me smile and happy and that's my super sweet Bf. is not perfect everyday but he is my perfect man to me, I 've always pray God is the center in our relationship, I see it is a great feeling when you pampered by your someone feeling I always happy, although I used the gift card already I shopping on the weekend it was wonderful and worth, I posted the pic about what I bought on my gift, just keep reading my blog, Love my man so much.